Situated midway between Miami and Fort Lauderdale, Marenas Beach Resort’s guests enjoy a desirable location on a glorious 2.5 mile stretch of pristine white sand beach in Florida’s French Riviera of Sunny Isles Beach. Combining classic and contemporary stylings to make up its design, Marenas offers a combination of rooms and suites each with views of the glistening Atlantic Ocean and Intracoastal Waterway. As a member of Gemstone Collection, Marenas Beach Resort is sure to exceed your expectations. In addition, newly redesigned event space to span over 10,000 square feet of flexible indoor and outdoor function areas with breathtaking panoramic views. Check out our most popular packages and special offers with savings up to 25% off! Escape to the beach for the Perfect Family Getaway! 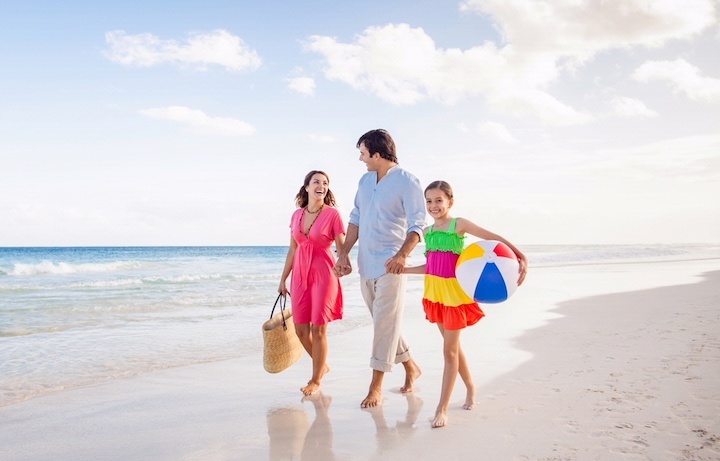 Enjoy Suite Savings, Daily Breakfast for the entire family and a fun-filled Kid’s Beach Kit! Perfectly situated on Florida’s Riviera, Sunny Isles Beach, Marenas Beach Resort is the ideal destination for any family vacation. Offering spacious residential-style suites featuring full-kitchens, washer and dryer, and plenty of space to stretch out, Marenas combines the comforts of home with the amenities of a full-service resort! Pay now and play later! Enjoy exclusive 25% savings when you prepay for your beach vacation! For new reservations. Not applicable to groups. Other rules, restrictions and blackout dates may apply. 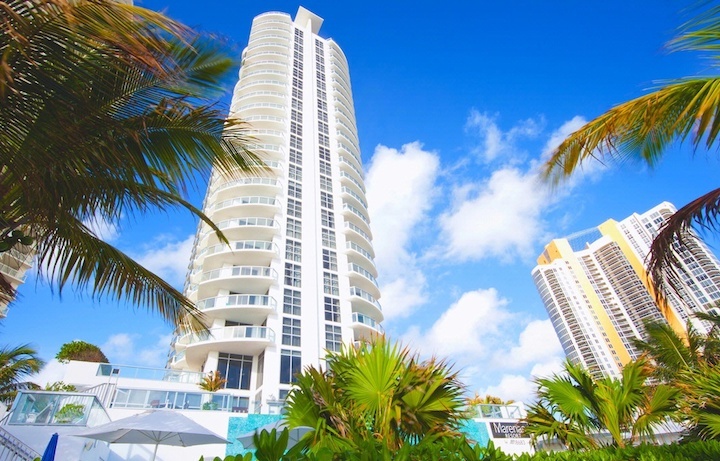 Whether you’re escaping the cold or simply need a beach staycation, getaway to South Florida for a Winter Escape and Save 20% on Sunny Isles Beach! Boasting panoramic views of both the Ocean and Bay, rooms and suites at Marenas offer a home away from home. The resort’s one and two-bedroom residential-style suites come fully equipped with a kitchen including a breakfast bar, a living area with queen sofa bed, floor-to-ceiling windows and an expansive balcony with lateral ocean and bay views. Need a break? Escape to Marenas to relax on the beach while enjoying your spacious room or suite with breathtaking views of the ocean or bay! Relax at the pool, sip refreshing cocktails and splash in the Atlantic, all in the heart of Florida’s Riviera, Sunny Isles Beach. 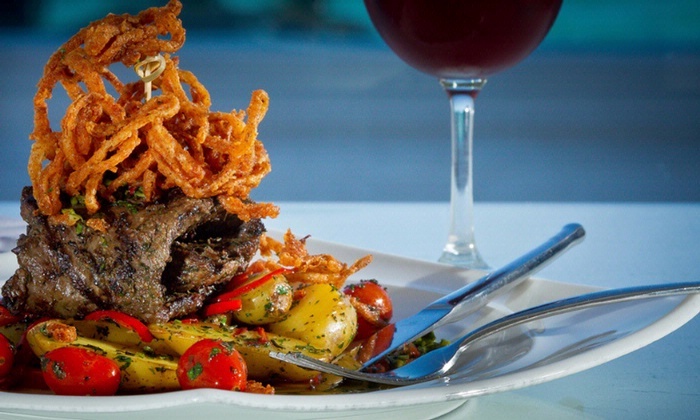 Caracol Restaurant located within Marenas Beach Resort is the ideal location to experience blends fresh and local ingredients with two-story high windows overlooking the glistening waters of the Atlantic Ocean. To go along with this scenic view Chef Carlos Candelaria has perfectly fused together American and Latin cuisine using the most succulent flavors of each and creating dishes that surpass your expectations. Save room for dessert as we introduce you to our take on a traditional coconut flan perfectly presented with strawberry glaze and refreshing mint leaf. 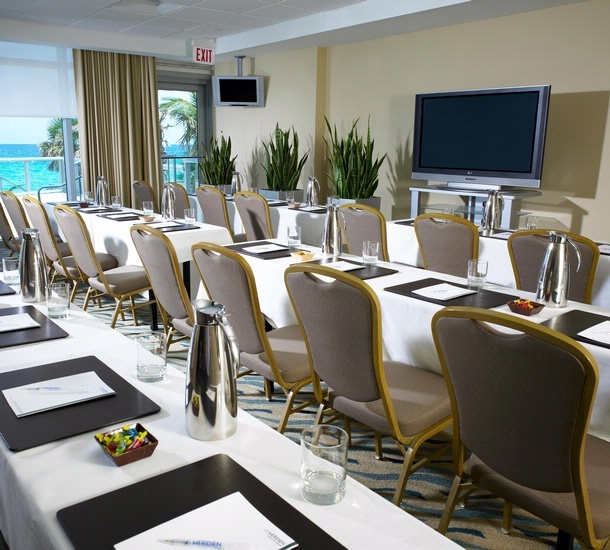 Marenas Beach Resort Miami offers a variety of elegant and sophisticated meeting rooms with scenic views of the stunning blue Atlantic Ocean waters. 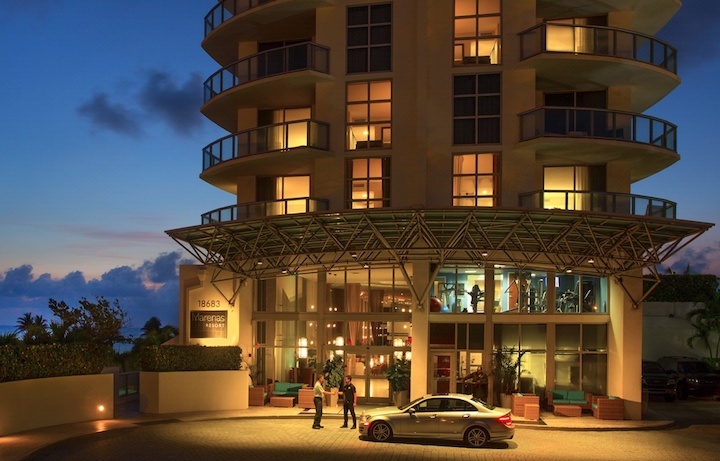 This beautiful Sunny Isles event space is the perfect location for corporate meetings and small incentive groups. Marenas has four oceanfront meeting spaces for you to choose from, whatever your needs may be. Book your meeting now to fully take over Marenas Beach Resort. We guarantee that your group will be the only group we host during the time of your meeting dates. The package includes complimentary space within our four individual conference rooms and a variety of flexible outdoor event venues. Available now – March 31, 2019. Two-night minimum length of stay. Must book 25 rooms or more per night.